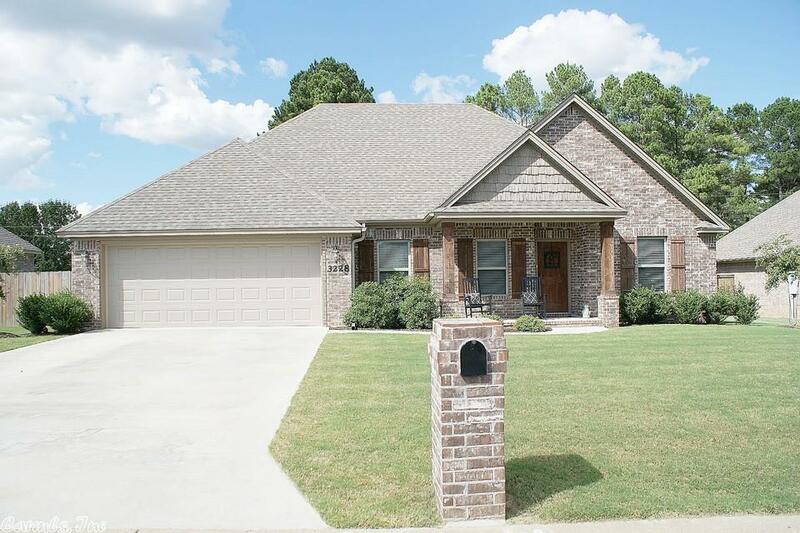 Like new home, this brick 3BR/ 2BA 1692 sq ft home is in one of Searcy's newest subdivisions. This home offers a large open floor plan from the living room to kitchen, split bedrooms, covered front & back porch, front exterior has hand split natural cedar shake siding. Kitchen has stainless steel appliances, granite countertops, pantry, and counter that opens to the breakfast room. Master Bedroom has tray ceiling, large master bathroom has garden tub, separate shower, double vanities and walk in closet.